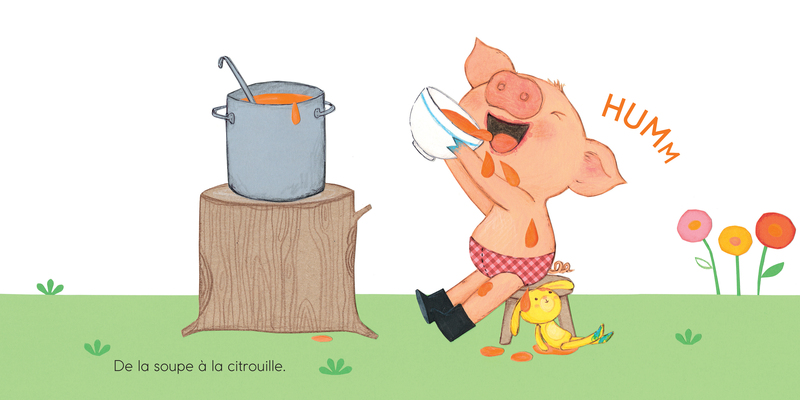 Cochon emporte son doudou partout : quand il mange, quand il joue, quand il dessine et saute dans la boue ! À la fin de la journée, c’est d’un bon bain dont Doudou a besoin ! 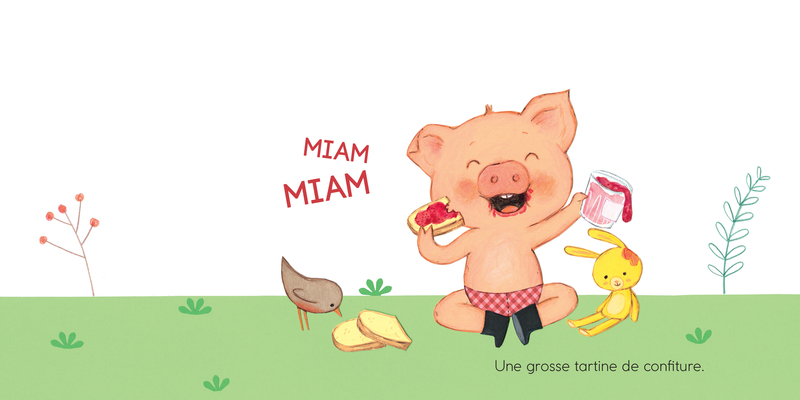 Et Cochon, alors, ce petit coquin ? Piggy takes his cuddly rabbit with him everywhere he goes. 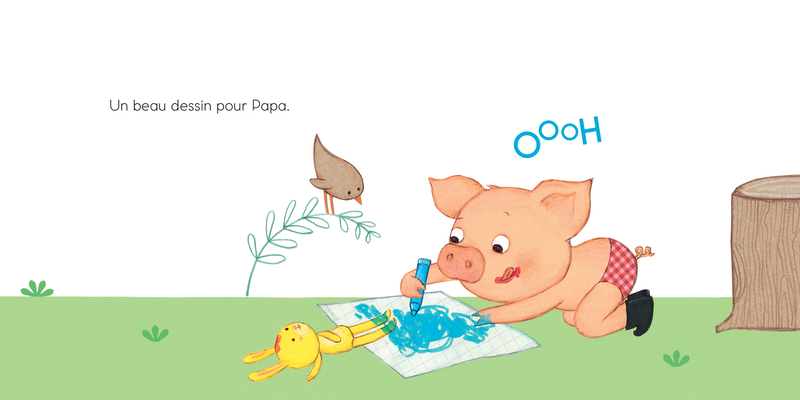 Rabbit is there when Piggy is eating and playing, when he’s drawing or jumping in the mud. At the end of the day, the poor rabbit is badly in need of a bath. And what about little Piggy? A cheerful story about the day-to-day life of a lovable little hero.